Pole dancing began like any other relationship in my life. Initially the beginning stages were filled with infatuation and moments where I couldn't get enough. I spent hours tirelessly watching pole dance videos online striving for any and all information I could possibly get. There were brief moments where other things in life got in the way, but when I was once reunited with my love, the affair was a full on engagement. Pole dancing has consumed me at times. It's forced me to find a balance in my life with work and other relationships. As the years have pressed on and my devotion to pole dancing has remained strong, I find myself needing to liven up my dance passion by exploring other forms of dance. I have learned this type of thought process holds true for any relationship we encounter in life. With our partners or spouses, finding something to fuel interest and introduce adventure into a relationship helps keep the relationship nurtured for continual growth. It should come as no surprise that I've even implemented dance into my relationship with my husband. We both thoroughly enjoyed taking ballroom dancing lessons together pre-wedding and have found ourselves a year later revisiting our lessons merely as a means of a pastime together. I'm a firm believer that once a dancer, always a dancer. I can appreciate the art of dance in all of it's forms now. When I began my love affair with pole dancing, I was closed to the idea of being interested in any other form of dance. I didn't want to know anything about ballet, ballroom dancing, belly dance, hoop dance, or burlesque. These forms of dance held no appeal to me. 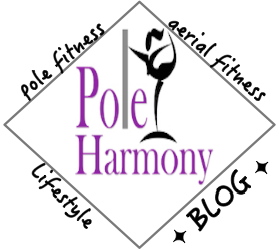 As I got deeper into my devotion to pole dancing as my chosen path of dance, I have discovered those other forms of dance have had their share of influences on pole dancing and what it has become. I'm learning through my own journey that exploring these other forms of the art are important for my own personal growth as a performer, student, and teacher. The lesson I have learned and would like to pass along is, never limit your knowledge. Allow yourself to maintain an open mind. You never know what piece of knowledge will hold the key to your passion.